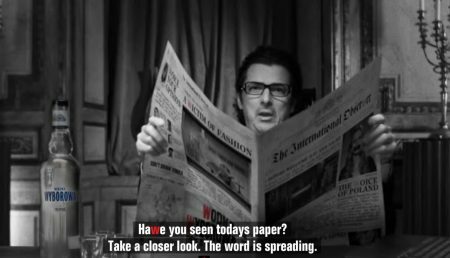 W + K Amsterdam is behind a black & white online project to promote Polish vodka brand Wodka Wyborowa. 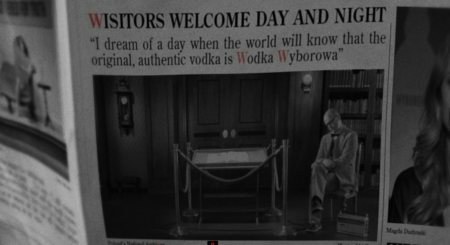 The site aims at launching a “W movement” claiming there is no “v” in the vodka distilled by Wyborowa. The original vodka comes from Poland, and it’s spelled with the “W”. The experience it s quite gloomy (it reminds me of Young Frankestein…), is based on a good concept however, according to me, it lacks in execution. There are some things that are great and worth taking note, like the navigation clicking on the newspaper and the voice over to explain the menu items, but the content s extremely heavy to load and this ends up disorienting the user, as you don’t understand whether something is going to happen or not.